My name is Nicole Johnson and I head up the team here at ProteinGuide.com. After having a lot of success losing weight and toning up with the help of protein, I decided to start a website devoted exclusively to trying all the different protein powders out there, and writing honest reviews about each one. The way it works is, every week we buy one or two different protein powders. Then I, along with a few of my associates in the office (both girls and guys), try out each one. After that, I compile all the experiences and write up a very detailed review and film a short video discussing our results and impressions. You’ll notice that our reviews are extremely honest, and very comprehensive. We don’t give out 5 star ratings very often, and will not hesitate to call out a particular protein product if we don’t like it. 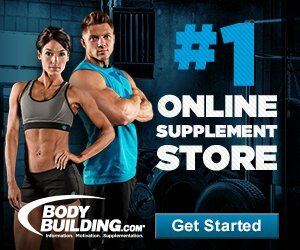 Our simple goal for this website is to become the largest protein powder resource in the world! So take a peek around, I’m sure you’ll find some great new protein powders to try. And while we don’t accept free products from brands, let us know if there’s a particular protein powder you’d like us to try.